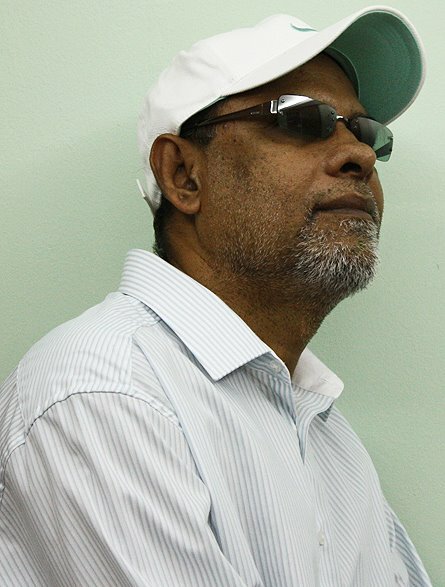 Pathmanathan was recently seen hiding behind glasses and a baseball hat on a televised exclusive interview for Channel4. It was painfully obvious that every attempt was made to make it seem that the interview was conducted in a city in Europe. The Tigers announced that Pathmanathan was the new leader of the Tamil Tigers. Pathmanathan told Channel4 that he had 2000 cadres waiting in the jungles of Sri Lanka for his orders. Well, today the Daily Mirror reported that he was arrested by Thai police in Bangkok. CNN-IBN also mentions it. Reuters also reported news of his arrest. Sri Lanka's Ministry of Defence website has confirmed the arrest. In July '09 Foreign Minister Rohitha Bogollagama, who was speaking at a regional security forum in Thailand, told the gathering that he had urged the Thai authorities to apprehend Pathmanathan. “I’ve already called for the arrest of Pathmanathan,” he said. It looks like the Thai authorities paid attention this time. However, there are those who remain rightfully skeptical. Pathmanathan was said to have been arrested in Thailand on September 11, 2007. A few hours later the Thai authorities denied it. Pathmanathan was the chief weapons procurement agent for the Tigers. He had access to millions of dollars. The Tigers could pay Bruce Fein $100,000; bribing Thai officials is a peace of cake. KP was also wanted by Interpol. He heads the notorious KP Department, the procurement arm of the LTTE. He is the man responsible for equipping the rebels with a modern day arsenal to fight a high intensity war. He procured state-of-the-art military hardware, paid for them through secret bank accounts, and ensured they were shipped. He is elusive. His actions are secretive. He is known to keep direct contact only with Mr. Prabakaran. Some of the world's best-known intelligence agencies, such as America's CIA and Britain's MI 5, have been on his trail. More often than not, local intelligence agencies on his trail have lost track as he hopped from one country to another. He was known to frequent Thailand. It's all falling apart for the Tamil Tigers, and it has nothing to do with Prabhakaran's demise. Since Operation Watershed in 2006 it has gone downhill for the LTTE. Prabhakaran's decision to take control of territory in the east during the ceasefire backfired badly, and led to the complete destruction of his organisation. KP's arrest comes Sixteen days after the Tigers announced that he would head the Tamil Tigers. If he is truly under custody, this will then most certainly be the final nail in the coffin. I doubt the sympathisers of the movement have the patience to put up with this nonsense. The only obvious way forward for Sri Lanka's Tamils is to understand that criminals like KP should not be entrusted with the task of representing their children. Tamils need to understand that the government is not their enemy. They may not be perfect, but cooperation is what is needed to achieve your goals. Rebellions, insurgencies and war has achieved nothing for you. You wont go back to the same mechanic if he repeatedly messes up your car? Whatever you think you're fighting for, don't entrust your goals to an organisation that has failed you repeatedly.